Donald Trump announced Friday that Indiana Gov. Mike Pence is his choice for his vice presidential running mate. That followed an exclusive report by Roll Call on Thursday that Trump was planning to announce that Indiana Gov. Mike Pence would be his choice for his vice presidential running mate, according to a Republican with direct knowledge of the decision. Roll Call reported Thursday that as Trump narrowed in on his choice of Pence, the two men spent time at both Trump&apos;s golf resort in New Jersey in early July and later at the Indiana governor&apos;s mansion. In addition to testing the men&apos;s chemistry together, Trump was reportedly impressed with Pence&apos;s calm demeanor, his experience on Capitol Hill and as a governor, and Pence&apos;s potential to assist Trump in governing, should the ticket win in November. Trump released the news on Twitter after a Friday morning event was postponed after the the terror attack that killed more than 80 people in Nice, France. 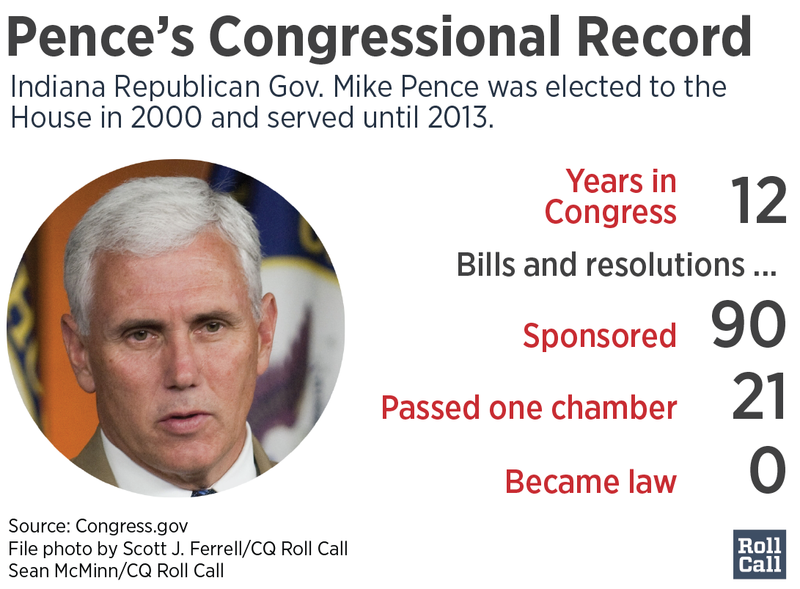 Pence, 57, served 12 years in Congress, rising to the No. 3 post in the House Republican leadership, before leaving to run for Indiana governor in 2012. There, he faced criticism for his handling of a religious liberties law that many said would discriminate based on sexual orientation and gender identity. When he backpedaled in the face of boycotts, he angered some conservatives, as well. This year, Pence drew attention for a new law that restricts access to abortion with new rules for doctors and a ban on procedures done solely because of the mother’s objection to the fetus’s race, gender or disability. In addition to Pence, Trump has considered former House Speaker Newt Gingrich, New Jersey Gov. Chris Christie and Army Lt. Gen. Michael Flynn for the No. 2 spot on his presidential ticket. Other contenders, including Sens. Bob Corker of Tennessee and Joni Ernst of Iowa, previously took themselves out of the running. Shortly after Roll Call broke the news, The Indianapolis Star confirmed that Pence was dropping his gubernatorial re-election bid in order to become Trump&apos;s running mate. Sen. Jeff Sessions declined to confirm the news but said Trump was "enthusiastic" about making this decision. "He was into it, he had great analysis. I think he&apos;s made a good decision, both for him personally and his campaign," the Alabama Republican told reporters. Pressed to clarify that the billionaire mogul has in fact made a decision, Sessions added, "I&apos;m not going to say he&apos;s finally made it or not. I&apos;m just going to say I was impressed with his decision-making ability. I&apos;m a big supporter of Pence. I think he&apos;ll be great if he&apos;s chosen." 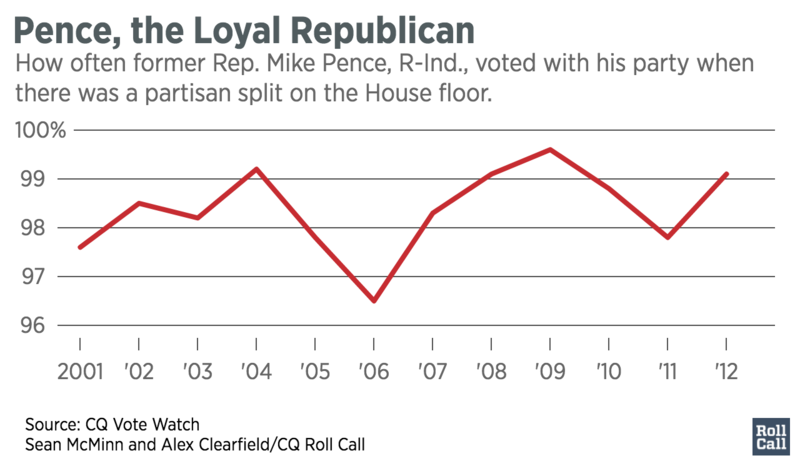 Even before the news broke, congressional Republicans said they would welcome Pence&apos;s return to Washington politics. “It’s no secret that I’m a big fan of Mike Pence," House Speaker Paul D. Ryan of Wisconsin said Thursday morning, "but there are other good people that he’s considering as well." 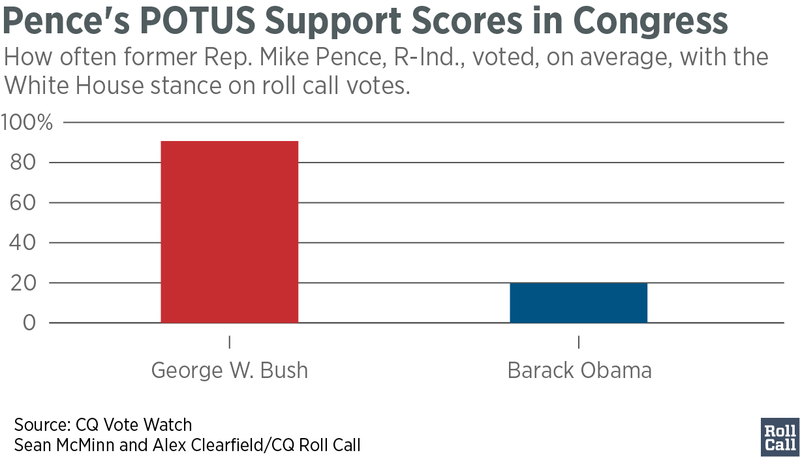 House Majority Leader Kevin McCarthy called Pence a "real add to the ticket." Pence&apos;s fellow Republican Hoosier, Sen. Dan Coats, said picking the governor would be a "great move." Even Sen. Lindsey Graham called Pence a good choice. But the South Carolina Republican said it would not be enough for him to support Trump&apos;s candidacy. Asked about President Barack Obama&apos;s views, White House Press Secretary Josh Earnest noted that the Indiana governor worked with the Obama administration to expand Medicaid coverage in his state — something Pence could have to explain that to conservative voters and donors. Bridget Bowman, Lindsey McPherson, Alex Gangitano, John T. Bennett and Niels Lesniewski contributed to this report . Roll Call columnist Patricia Murphy covers national politics for The Daily Beast. Previously, she was the Capitol Hill bureau chief for Politics Daily and founder and editor of Citizen Jane Politics. Follow her on Twitter @1PatriciaMurphy .